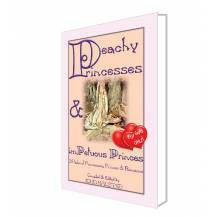 PEACHY PRINCESSES anD IMPETUOUS PRINCES - A Book for GIRLS ONLY! A GREAT READ FOR YOUNG PRINCESSES! 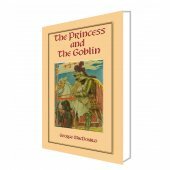 In this book girls will find 26 tales of Princesses, Princes, Sultans, Kings, Queens, Viziers and romance drawn from the mists of time. As always there is a villain, be it a dragon, evil Vizier or wicked stepmother and there is most definitely a hero to save the day. Sometimes he is just a shepherd boy or a neer-do-well from the wrong side of town, but mostly he is a Prince in shining armour galloping in on his white stallion to save the damsel in distress. 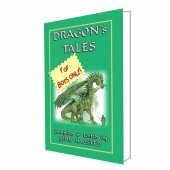 Herein you will find tales like THE SLIPPERS OF THE TWELVE PRINCESSES, BINNORIE, THE PRINCESS OF CANTERBURY, THE OUTCAST PRINCE, THE IVORY CITY AND ITS FAIRY PRINCESS and many, many more. But why a book for girls you may ask? 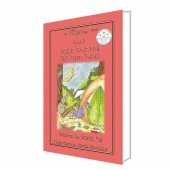 Well, weve done a book for BOYS ONLY and its only right that we do a GIRLS ONLY book as well. Some have said we are courting controversy and possibly even being sexist? We do agree to a point. It seems that nowadays we are not allowed to use simple English adjectives to describe obvious situations. Neither are we allowed to be who we want to be. Why? Because the P.C. Police say so, and no-one dare disobey them! But in those moments when the hero of the story has risked life and limb to rescue his fair maiden then only the simplest and most straightforward words will do. As yet the P.C. police have not come up with a P.C. equivalent for that moment when, after overcoming adversity and every challenge thrown at him, the handsome Prince finally holds his beautiful Princess in his arms, gazes into her eyes and says Marry me. Be my Queen forever! and I hope they never do, for this is the moment that every fathers Princess dreams of - from the time she is born. 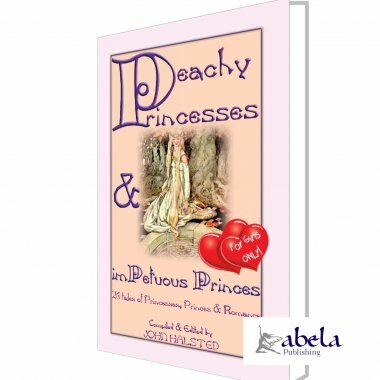 Excerpt from PEACHY PRINCESSES anD IMPETUOUS PRINCES - A Book for GIRLS ONLY! BOOTS WHO MADE THE PRINCESS SAY, "THAT'S A STORY"
Once on a time there was a king who had a daughter, and she was such a dreadful story-teller that the like of her was not to be found far or near. So the king gave out, that if anyone could tell such a string of lies as would get her to say, "That's a story," he should have her to wife, and half the kingdom besides. Well, many came, as you may fancy, to try their luck, for everyone would have been very glad to have the Princess, to say nothing of the kingdom; but they all cut a sorry figure, for the Princess was so given to story-telling, that all their lies went in at one ear and out of the other. Among the rest came three brothers to try their luck, and the two elder went first, but they fared no better than those who had gone before them. Last of all, the third, Boots, set off and found the Princess in the farm-yard. "Good morning," he said, "and thank you for nothing." "Good morning" said she, "and the same to you." "You haven't such a fine farm-yard as ours, I'll be bound; for when two shepherds stand, one at each end of it, and blow their ram's horns, the one can't hear the other." "Haven't we though!" answered Boots; "ours is far bigger; for when a cow begins to go with calf at one end of it, she doesn't get to the other end before the time to drop her calf is come." "I dare say!" said the Princess. "Well, but you haven't such a big ox, after all, as ours yonder; for when two men sit, one on each horn, they can't touch each other with a twenty-foot rule." on each horn, and each blows his great mountain-trumpet, they can't hear one another." "I dare say," said the Princess; "but you haven't so much milk as we, I'll be bound; for we milk our kine into great pails, and carry them in-doors, and empty them into great tubs, and so we make great, great cheeses." "Oh! you do, do, you?" said Boots. "Well, we milk ours into great tubs, and then we put them in carts and drive them in-doors, and then we turn them out into great brewing vats, and so we make cheeses as big as a great house. We had, too, a dun mare to tread the cheese well together when it was making; but once she tumbled down into the cheese, and we lost her; and after we had eaten at this cheese seven years, we came upon a great dun mare, alive and kicking. Well, once after that I was going to drive this mare to the mill, and her back-bone snapped in two; but I wasn't put out, not I, for I took a spruce sapling, and put it into her for a back-bone, and she had no other back-bone all the while we had her. But the sapling grew up into such a tall tree, that I climbed right up to heaven by it, and when I got there, I saw the Virgin Mary sitting and spinning the foam of the sea into pigs'-bristle ropes; but just then the spruce-fir broke short off, and I couldn't get down again; so the Virgin Mary let me down by one of the ropes, and down I slipped straight into a fox's hole, and who should sit there but my mother and your father cobbling shoes; and just as I stepped in, my mother gave your father such a box on the ear, that it made his whiskers curl." "That's a story!" said the Princess; "my father never did any such thing in all his born days!" So Boots got the Princess to wife, and half the kingdom besides. Table of Contents for PEACHY PRINCESSES anD IMPETUOUS PRINCES - A Book for GIRLS ONLY!